Hey all my fellow eBay'ers! WOW, what an "exciting" week we have had as sellers on the eBay platform. I use the word exciting loosely, because for some it has been aggravating, for others it has been exhilarating and for most in between it has been somewhat trying. When I started doing business on eBay, I quickly learned that my business would definitely need to become accustomed to many changes eBay makes and mitigate them as quickly as possible. Now, the love is not a sloppy like, kissy face kind of love. Right now, I am sort of in a "tough love" phase. You know the love you have for friend or family member that has had too much to drink, so you FORCE them to leave the party by driving them home yourself? Or the kid you love who got a "D" in science on the report card. These wayward actions don't force you to immediately distance yourself from the individual and no longer deal with them. Yes they make you angry, but your connection to them and your bond ultimately surpasses your initial anxiety and deep down, you still love them, in spite of the flaws. I began thinking about how my loving relationship has been with this corporation. 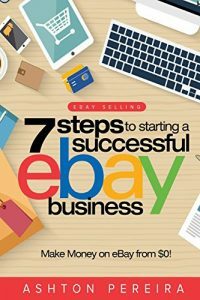 From the beginning of my time on the eBay platform, there has always been some concern about constant changes that eBay makes which make it difficult to plan ahead as a business using the venue. I have never spoken to anyone who has admitted to actually selling "successfully" on eBay in their career?!? You know, I chat with these people and then politely ask if they ever sold on eBay? Oddly the response I get from most is not NO, it is usually more like... "I shop a lot on eBay" in some form or another. It is like they all believe shopping somehow equates to "doing business on eBay"? I noticed this lack of selling experience once again on Monday's Town Hall Meeting call. All of the folks including even Lorrie Norrington, will chat about what they BOUGHT on eBay (other than Griff, of course). As if that solidifies their genuine expertise on the eBay experience?!? But none of them are, or were ever prior sellers? 2.) They (eBay Executives) always have these quotes... the "Buyers want __________" (you can fill in the blank with anything you like). But then there is no real "Amen" moment?!? When eBay has made some of its most controversial changes in the name of buyer satisfaction in the past... Why is it I never hear consumer advocate types ever report or "cheer" about these moves eBay makes for the consumers. (I listen to Clark Howard our local consumer radio host). Where is the AMEN from the choir, eBay? If you have made positive changes to make the buyer experience better, why in the world do they not say AMEN? Instead it seems year after year the buyers continue to be leaving the building? Look folks, I am willing to endure change for the good of the buyer, IF the buyers buy more, but unfortunately up till now, this has sorely not been the case... or am I wrong? 3.) Why doesn't eBay spend some REAL money and recruit some seller(s) into planning/executive positions within the company? Find good sellers and make them stop what they are doing and entice them to move into eBay work. Heck, if the FBI can get a former web hacker to go "straight" and assist with finding other hackers, why doesn't eBay get a seller to go corporate? Get some inside views, plans and ideas that also encompass the knowledge of a qualified seller as a real resource. Seriously why have they not done that in the past? Or have they, and I am just not aware? I feel it would be easier to train up a former eBay seller in the ways of the executive career path than it is to make an executive understand the concerns of an eBay seller on the platform. I always think deep in my mind that eBay does not have a "holistic" view of the platform, in some odd way. Not in a "stating-the-obvious way", but even deeper. There seems to be a serious appearance of imbalance in their knowledge of how-this-thing-works. And what scares me sometimes is that I don't think they even know the imbalance exists! Let me be perfectly clear, I am not saying this in a mean, accusatory way. I often feel like empathizing with their lack of scope. Like they are a blind person I want to help cross a street, NO…NO, not a street, but a busy freeway! That's how helpless they seem to me when I hear them speak to me on the phone or to the public! Personally, I have talked to Trust and Safety people, or an account Manager, or even a Product Manager over the years. But at times during the conversation, I feel like OMG, they simply do not have the capacity to grasp the concern or idea I was presenting. I sit in awe of the "blank stare silence" I get when asking a question of deeper than surface discussion with eBay employees from the top down. John– great points. Yes, the connection is deeper than any individual executive or executive decision. The connection and networking between eBay members is a lifelong one….and ups and downs are expected. What she did not mention was that on May 19 your neutrals will become negatives. It is these small omissions that cause the marketplace imbalance. I believe it is these small omissions that hurt the marketplace. Turning neutrals to negatives is probably one of the largest changes in feedback in eBay’s 10 year history, yet that issue was not addressed in a major speech to the largest sellers. If you are considering Zippi, please ask them as many eBay selling questions (listing tools, devices, etc) as possible when they set up at eBay Live…it’s only fair that you know what you are getting into…. I agree that this appears to be where much of the breakdown is at. 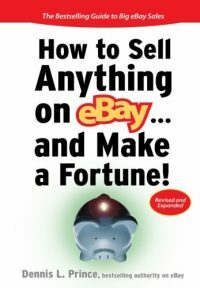 I have no doubt there are a few previously successful sellers that would be happy for the opportunity to work for Ebay and educate them on some of the finer points of selling on Ebay. And agree again…well put! Where is the AMEN that you would expect from customers if Ebay had truly nailed their concerns? I hope that the new changes will lead to some serious improvements to the market place. However I don’t believe the “AHA” moment has happened quite yet. John looks like you are on a path that has been suggested several times before. I agree about the neutrals being converted to negs it was a stiff kick in the wherever. I went from a 99.9 that I have worked my team to death for and to be sent to the back of the room with a 99.4 kind of took the wind out of our sails. That score was my score and I earned it the way that ebay set the rules. Now they change the rules without any thought to what it has done the morale of myself and my whole team. I wonder if we went to Vegas this would be allowed if so I’m packing my bags. My chances couldn’t be any worse. I like you love ebay, it is a part of my life. It’s kind of like my children, I will always love them but I may not always love what they do. The only hope I see and I do see some hope is with sellers like that are posting here. As you know I belong to Pesa and I am seeing something besides lip service of the past. I see an attentive ear that might start changes that will insure our futures. I like your posts, always a pleasure to read the thoughts of someone who actually ‘walks the walk’. I hope that you will be a frequent guest on Scott’s blog, you add value to something that is already very valuable. MORE! Best regards to the Mama, did she enjoy her trip to N’awlins? 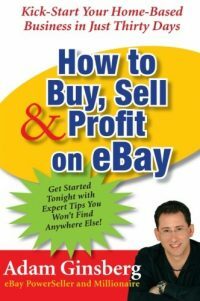 There is a fundamental reason why eBay cannot or has not recruited a seller into the corporate ranks….eBay sellers are by nature entrepreneurs, and corporations don’t need entrepreneurs in their ranks…they need managers. Not sure what the difference is? Well, entrepreneurs are fundamentally creators….they listen to the souls of their businesses, look forward, innovate, take risks, and reinvent their businesses over and over. Managers are fundamentally risk averse task delegators, or delegatees. 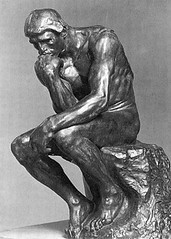 They do not go with their gut instincts but commission studies to tell them what is in need of improvement in their organizations, release their plans in a flurry of public relations, then delegate the tasks required to subordinates, all the while monitoring not so much the soul of their organizations as their organizational structure. That is not to imply that either is superior over the other…each have their roles in the commerce of life. However, an entrepreneur in corporate culture is akin to an eskimo in the Everglades…whereas a manager in an entrepreneurial operation is similarly misplaced. Boy, I have been that “Eskimo in the Everglades” before and you are correct! It is an uncomfortable environment for a true entrepreneur. Thanks for that incite. Thank you, your a sweetheart 🙂 Yes, Moms is still talking about the trip. I got another trip lined up for her this summer too. Hey, I got wind of the impact to you when the change was made to feedback. That was one incredible story! I hope things are better now and I was sorry to hear about the troubles. Thank you for your thoughts and wholeheartedly agree. I’m with you on the “I Love eBay…” thing but I’m going through some tough love times as well. The whole neut’s as negs was a really unfair surprise. Add to that the newly embolden buyers who are airing petty grievances held over for nearly a month, just past the new feedback change, and my former fabulous DSRs are now failing. My once positive and caring seller attitude has become pensive, defensive, and paranoid. I’m not becoming a better seller, I’m becoming a bitter seller. My customers are not better served, which is sad and yet I ship within 24-hours of payment and ship for postage only and have seen my DSRs fall from 4.8 to 4.6 (barely). Nothing has changed except the sence of entitlement by by buyer and the loss of my 15% discount. Will I continue to sell on eBay? Yes, but less and less. I have already moved to Amazon but I’ve opened a second website and will be moving off both eBay and Amazon and spending the dollars I spent on both to promote my two sites. I’m tired of being the puppet of both. I look sincerely hope eBay rethinks this latest fiasco. I truly enjoyed selling on the “venue”. All fixed, not to worry, I’m sure John did not notice, I edit his guest posts, you should see the typos! That used to be true. In recent years there’s been a move in some major corporations to set up divisions like independent enterprises, even having budgets untouchable by corporate, precisely because entrepreneurs have the visionary risk-taking genes to break out of the corporate mold. Corporations are like sharks; they have to keep moving or eventually they die. This gave rise to the term “intrapreneur.” 3M is a good example of a company that uses intrapreneurship to tremendous effect.